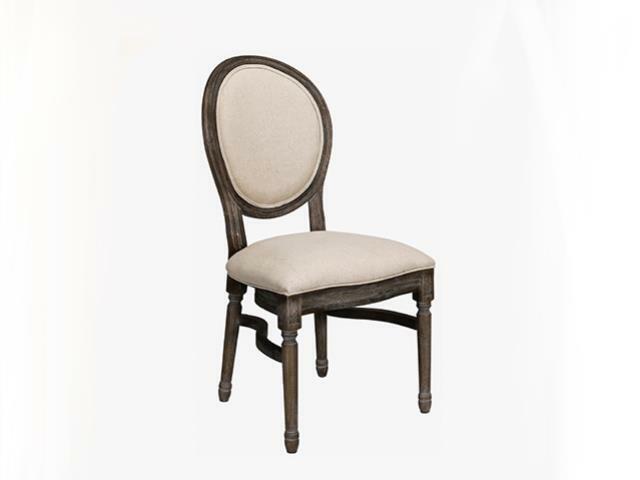 Our most comfortable and deluxe dining chair with upholstered ivory seat and back cushions. The antique stained frame matches our vineyard collection. * Please call us for any questions on our chair louis xiv dining rentals in Kent WA, serving the Greater Puget Sound area.